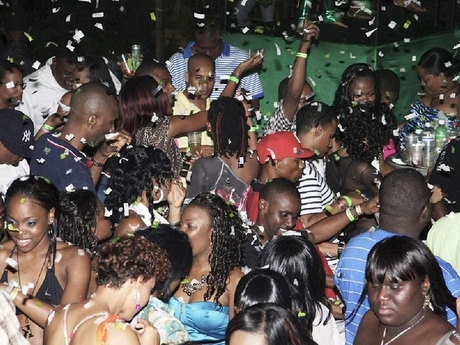 The Emancipendence (Emancipation Day and Independence Day) weekend is a time to party hard for a great number of Jamaicans and the many visitors who flock to the island for all-inclusive parties like the Smirnoff Dream Weekend. This Tip Thursday, we share some information to help you party responsibly. – Keep track of what and how much you are drinking. – Pace yourself. Sip your beverages and don’t keep drinking alcoholic drinks back to back. – Drink some water every now and then to detox. – Don’t drink on an empty stomach. – Be careful about accepting drinks from strangers. 2. Whatever you do, do NOT drink and drive. If you are part of a group, ensure that there is a designated driver who will abstain from drinking. Otherwise, take advantage of shuttle services, where available. The long party weekend is an excuse to get many people to ‘get their drinks on,’ but you should ensure that you eat as well. Look for foods high in protein, such as cheese and peanuts, which help to slow the absorption of alcohol into the circulatory system. This is important not only for detoxing purposes, it is also necessary if you will be attending day parties in the scorching heat. Speaking of the scorching heat, make sure you protect your skin by using a high SPF sunscreen whenever you are out in the daytime. 6. Go cashless, if possible. Don’t walk with large amounts of cash, as you will set yourself up as a target. Carry only what you will need, or use cards or tokens where applicable. 7. There’s safety in numbers. If you go with friends, stick together as much as possible. Keep an eye on your friends to ensure that they remain safe. 8. Do not go off with strangers. Adventure is the name of the game, but don’t get carried away. Not everyone is trustworthy, and chances are you will be inebriated. Follow the party’s dress-code, where applicable. You don’t want to show up at a jouvert party in your ‘good clothes,’ which will be ruined with all the paint. However, ensure that you are comfortable. 10. Park in the designated areas and obey law enforcement officials. You don’t want to come from the party looking for your car and find that it has been towed because it was in the wrong area or stolen because it was parked where there was no security.